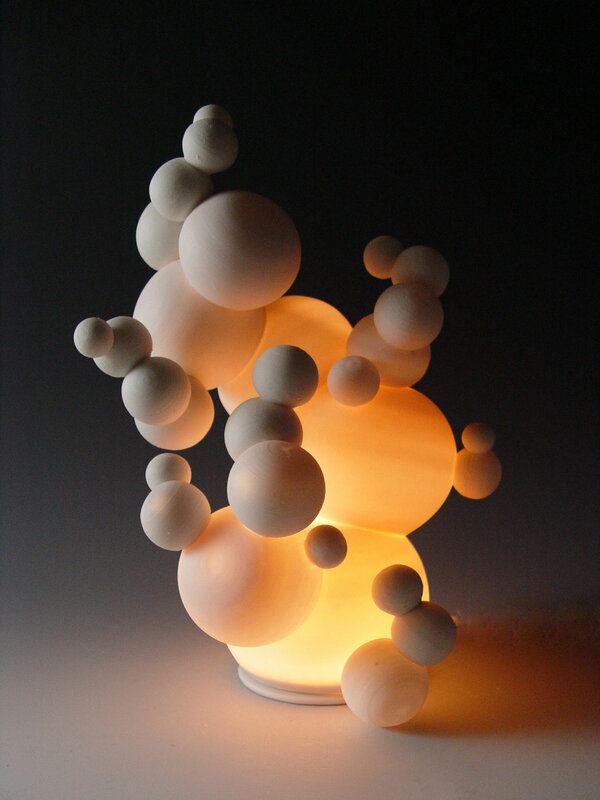 Ceramic lighting centerpiece in wheel-thrown and hand-built unglazed translucent porcelain. Uses one 10 watt halogen bulb (included). Signed on back. As not two pieces are alike, they may differ in shape and size, still staying true to the "Bubbles" theme.